When I got back from my hunting trip, I had four deer quarters to butcher. My family has always hunted with farmers so they’ve harvested and processed their own deers for decades. Thanksgiving morning my brother came over and taught me how to butcher the meat. We both started with one leg. He showed me how to work the filet knife between the different muscles to start separating the meat. He said the knife will do the work, just follow where the tension is. It was interesting to see how it was all connected. He also showed me how to use your hand to feel where the muscle goes. Eventually, we got out our first big steak. Then came what he said was the most important part—cleaning the meat. I got off all of the film that keeps the muscles together. Then I worked to cut off all of the silver skin, that part wasn’t easy! If any of the meat had fat left on it, I also cut that off. It took awhile, but when I was done we were left with really nice cuts of meat. The reason he said this step was so important was all of those parts added to the gamey taste of meat. So the less of that on the meat, the less gamey it’ll taste. It took us a couple of hours but we finished butchering two of the quarters. 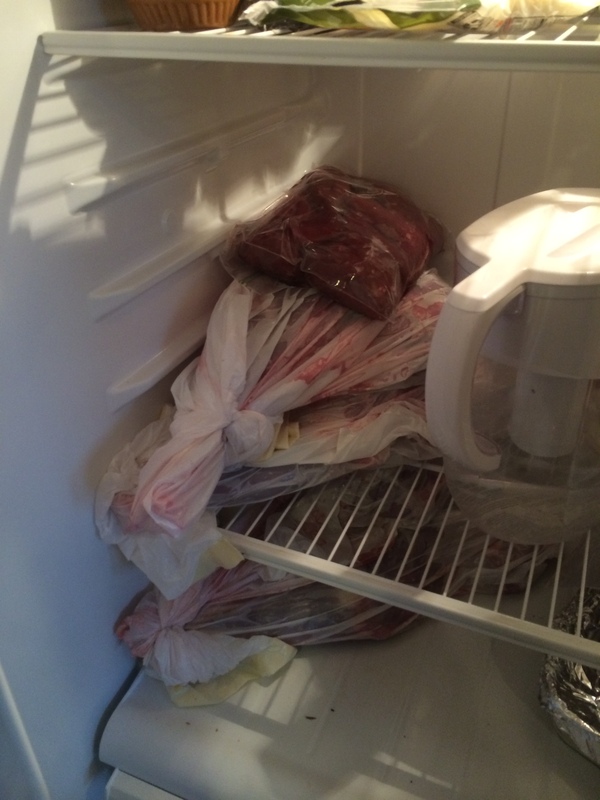 We were left with steaks and stew meat mostly. I learned a lot, my brother was really helpful at showing me how to do everything. It was nice being able to learn the family tradition of what they do after someone gets a deer. He took two pieces of meat we’d cleaned and grilled them in a cast iron skillet. With only salt and pepper to season it, it was a delicious piece of meat! Not too gamey at all! 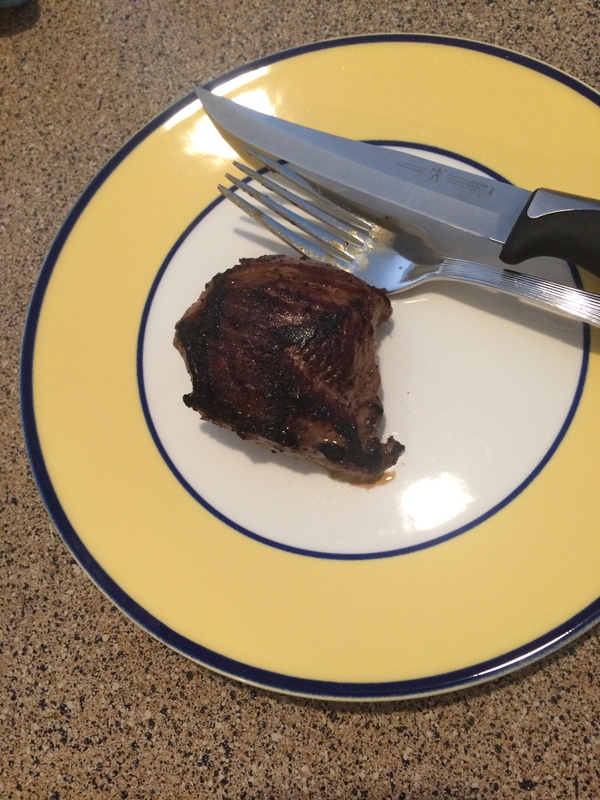 The first steak from my deer! A few days later, I finished butchering the last two quarters. It took me a few hours. 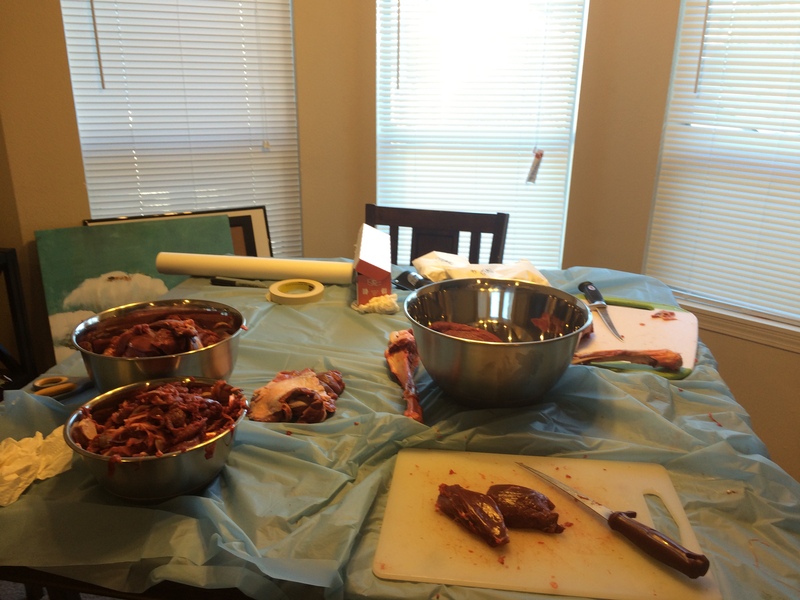 It probably wasn’t the best butchering ever done, but it was a good feeling to do it myself. It’s a lot of hard work, but rewarding to see all the meat you’re left with. 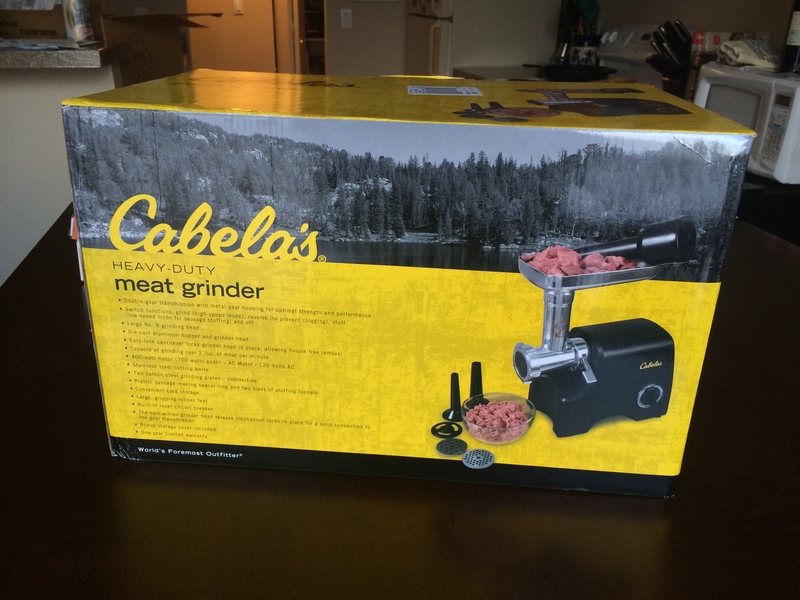 For Black Friday, I purchased a meat grinder from Cabelas. I’ll be using it for the first time this weekend as I grind stew meat to make a venison meatloaf. I can’t wait to see how it turns out! Do you butcher your own deer or take it to be processed at a wild game butcher? Share your family’s tradition below! Next you should get a vacuum sealer, they keep the meat a lot more fresh than freezer paper does. Good job on learning to do it yourself. I’ll have to look into those! This is another debated topic, vacuum sealer vs freezer paper. My family has always used freezer paper and believes it’s the way to do it. Nothing wrong with branching out and trying something else though!